In my previous post, I introduced three issues I found I needed to be careful of when I began writing sequels. For the beginning of this article, originally published at Savvy Authors, click here. I also recommend The Top Ten Things Readers Hate about Books. Laurel K. Hamilton is a wildly popular author. Even in my daydreams, I’m not as successful as she is. I bought one of her early books, though I don’t remember the name; it’s been too long and I no longer have it. Did I notice that the book was deep into a long series? Nope. Big mistake. After introducing the heroine, Hamilton proceeded to spend much of the next two chapters recapping the forces aligned against the heroine. If I’d read those earlier books, the recapping would have made me smile in fond remembrance. Being a newbie, though, I nearly drowned. All novels have backstory, and it’s always a major challenge to fit it in—but if you think about it, a sequel has no more backstory than many novels do. My solution: I tried to be as miserly with the backstory from previous books as I would in a standalone. In the first book, my heroine is proclaimed a goddess by alien Shons. Instead of explaining how this came to be, The Tribulations of Tompa Lee opens with “The goddess from outer space moaned and thrashed in her sleep.” Her godhood is stated as a fact, just as I stated that the hero of my first published romance, The Perfect Ten, was an orchestra conductor. The reader learns—slowly, bit by bit—how Tompa’s godhood came about and how intensely uncomfortable she is with it. Just because Tribulations was a sequel doesn’t mean that an info dump was allowed, or even needed. Making readers care about our imaginary people is an art. We work hard to make our heroines strong, powerfully motivated, and yet vulnerable. We strive to give our heroes positive traits, and yet they also suffer. We give them ‘save the cat’ moments to show they are likeable. Sometimes, though, authors—even great authors—expect readers to already identify with their recurring protagonists, without making them as sympathetic all over again. Robert Heinlein, one of the gods of science fiction, was guilty of this once. In Methuselah’s Children, he introduced a great character, Lazarus Long. After appearing in several other books, Lazarus becomes one of Heinlein’s best developed characters—but toward the end of Heinlein’s career, in The Cat Who Walks through Walls, Lazarus is a stick figure, a symbol, whom readers would love only if they already knew him. Heinlein forgot to make his character sympathetic all over again. Lazarus not only doesn’t save the cat, he doesn’t even pet it. J.K. Rowling is a master of creating sympathy, by the way. Each of the Harry Potter books opens with Harry suffering unfairly at the hands of his cruel muggles family, and we sympathize with his plight—and with him. 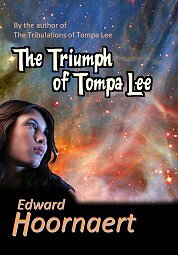 My solution: I opened the third book in the series, The Triumph of Tompa Lee, by showcasing many of my heroine’s positive traits. 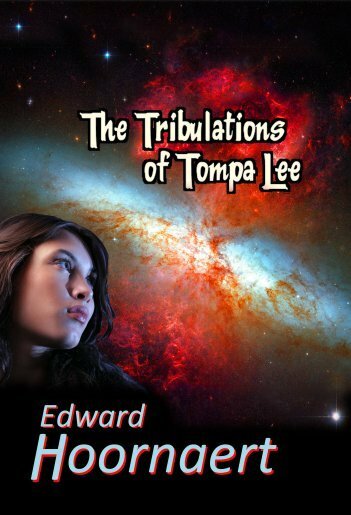 Readers first meet Tompa as she stands up to threats by alien bullies. Positive trait: bravery in the face of danger. When a friend tries unsuccessfully to help, she sympathizes with his plight. Positive trait: empathy. In the very next scene, her lover proposes marriage (I did start out writing romances, so you can expect to see love even in my sci fi). Tompa resists at first because she can’t imagine why anyone would like her, let alone want to marry her. Positive trait: modesty deepened by insecurity and vulnerability. The hero responds by pointing out her determination and strong moral compass. As you may have noticed, the solutions that my inner reader devised aren’t unique to sequels. They can apply to all good storytelling. Don’t overwhelm your readers with too many characters—yes, even in standalones. Avoid turning backstory into an info dump—sure, that’s obvious. Make readers care about your characters—of course we want readers to empathize. To produce my desired sequels, I couldn’t assume that I could skimp on any of these points just because I was writing a series.